This week has it’s up and downs. I had a few bad days where I missed the rats very badly, but also some good moments. It was a busy week and I worked on some new tours this week and business is going good this week again, so that makes me happy. The slower weeks always get to me, so I am happy to be organizing new tours again. This week 2 new cover reveal and 3 book blitzes went live and I feel like I am back in the work flow again. It did make for some busy days, but the good kind of busy. 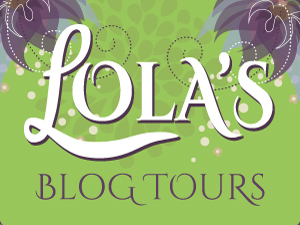 I also planned an ad for Lola’s Blog Tours on a blog for October, I hadn’t done one in a while and I noticed a blog I visit regulary offered ad space, so I decided to book an ad there. Friday was my boyfriend his birthday I made cinnamon sugar twisters and brownies for him and got some extra yummy food while grocery shopping. And I bought a game for him on steam. On saturday his parents visited and they had brought corn dogs. They also made some vegetarian ones, which was nice of them. The dough was pretty well done, I always thought corn dogs were cripsy, but the dough was pretty soft. Although I am not a fan of vegatrian saucages in general, they had one type I liked, but I don’t think they sell it anymore. I finished one of the colourings in my new colouring book. 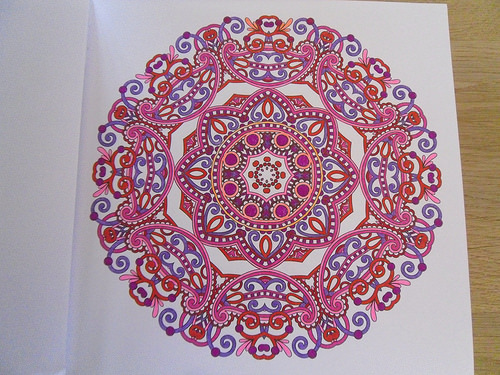 It’s the mandala colouring book I got for my birthday last week. I decided to go with red, pink and purple colours for this one and am really happy with the end results. There were a few small mistakes I made when it came to choosing colours at first, so I know to be more carefull with deciding next time, but it still turned out very nice. This one took me about 3-4 hours to colour as the colourings are all pretty large. This is one of the brand instant noodles I sometimes buy. I sometimes eat them as lunch or as evenign snack when I am hungry. My favourite flavour is this saté flavour. 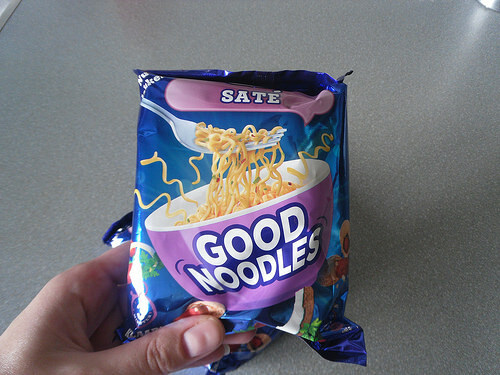 Like the brand name says these are good noodles, they aren’t perfect, but they are affordable and the taste is good. My boyfriend bought this ice cream for me this week. One of my favourite flavours, it’s very cinnamony flavoured and has small pieces of cinnamon flavoured rolls in them. Do you like Ben and Jerry’s ice cream? What’s your favourite flavour? 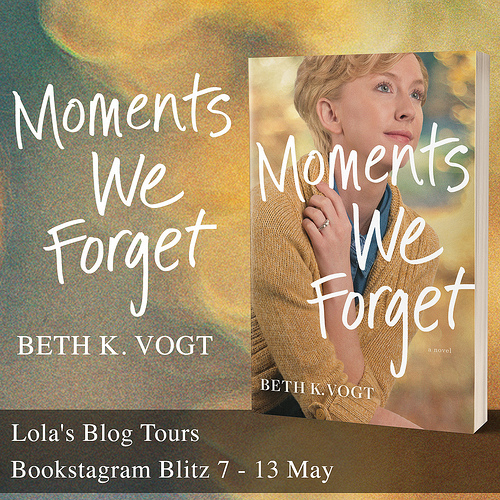 – Lola’s Ramblings: Does it Matter in Which Language you Read a Book? – Cover Reveal: Maiden of Secrets by Paul Neslusan – 14 September – New! – Cover Reveal: Live by Gillian Zane – 14 September – New! 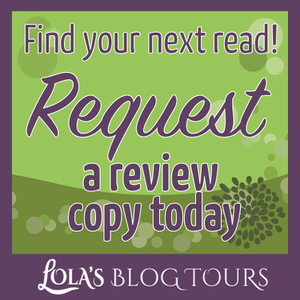 – Book Blitz: Maiden of Secrets by Paul Neslusan – runs from 1 till 7 October – New! – Book Blitz: Live by Gillian Zane – runs from 13 till 19 October – New! – Book Blitz: Sonar the Cyclone by B Truly – runs from 30 november till 4 december – New! I love making homemade pizza. Hope your French Bread Pizza turns out great this week. That mandala is beautiful, I love the colors ! And I hate cinnamon, lol, but I ate a lot of pepper bells this week, it made me think about you 😉 I have the habbit of making “pizzas pita” : I buy packs of pita bread, spread tomato sauce or vegan pesto on them, then add everything I want : sliced tomatoes, slices of onions, squares of pepper bells, herbs, etc. Then I fix a quick humus and serve it along, it’s very good, very quickly done and appreciated by the whole family. Have a great week, Lola ! Thanks! I am glad I went with these colours, at first I wanted to try adding more colours, but I am glad I didn’t. I love red bell peppers, I eat them almost every day ;). Oh that’s a good idea to eat pizza sauce on pitta’s for a chance! Will have to try that next time. It sounds easy and yummy! Coloring Books are very relaxing and fun to do. The ice cream looks delicious. I hope you love all your new books. I agree! I really enjoy colouring, although I don’t always make time for it. 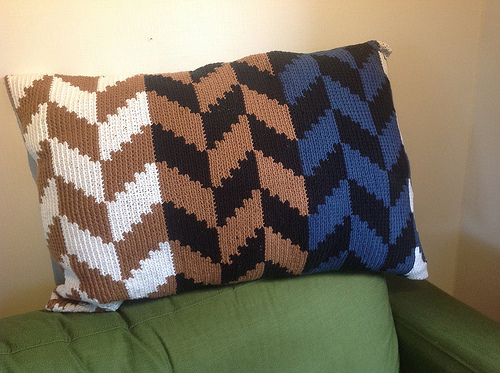 I especially like seeing how it turns out after all those hours of work I put into it. It’s very relaxing and fun! Oh, I am impressed with your coloring page. I haven’t colored in years and I know I wouldn’t have done that well or matched the colors so brilliantly. Fun to do something special for your boyfriend’s special day. I’ve had crispy and spongy corndogs so I guess it just depends on whose making them. Would you believe I’ve never had Ben and Jerry’s icecream? I love ice cream, but tend to stick to a few local dairies around here for my ice cream. Thanks! It was pretyy difficult to match the colours right and I made a few small mistakes in the beginning, until I noticed the pattern and decided which lines to colour what. On the picture you can’t see it, but not all parts are coloured perfectly. Oh I can definitely recommend Ben and Jerry’s ice cream, we don’t buy it often as it’s very pricy, but it’s very good as well. I don’t like all of their flavours though, I am not a fan of their Core line of ice creams, but this one was very yummy! I am kinda jealous you actually have local dairies where you can buy ice cream, my mom once bought ice cream for me at a local farm when we were on vaction and it was really good. Gorgeous mandala – I love the colors! I just bought my first “adult” coloring book – Secret Garden by Johanna Basford. I can’t start coloring for a while though, not until my wrist is doing better. As for Ben & Jerry’s ice cream, I love it, but usually decide it’s too expensive and stick to Breyer’s or Edy’s instead. We did get to visit the B&J factory near Stowe, Vermont, back in 2010. That was a lot of fun! I have Johanna Basford her forest colouring book, her colouring books are very pretty. They have a bit of a mystical feel. I hope you’ll enjoy colouring! Same here we usually don’t buy Ben and Jerry’s as it’s too pricy. I often buy the brand of our supermarket instead as those are affordable at least. I don’t think we have Breyer’s or Edy’s here. Oh that must have been fun to see a B&J factory! We used to have a Ben and Jerry’s store over in a town not far away, where they served their ice cream and all that- it was a nice place, but they went out. 🙁 That was a bummer. Your new mystery looks good! I didn’t even knew they had Ben and Jerry stores, here they sell a few of their flavours in our local supermarket, but they don’t have all flavours. I keep planning to finally read some mysteries this year, but so far I haven’t read any, so I hope I can read this one soon. Most days things go great and at other moments it can suddenly hit me that they aren’t here anymore, it’s weird. I hope you’ll enjoy colouring! I hope you’ll share a picture of one of your colourings once your colouring book is there. I haven’t seen the wafflecone flavour here, but it sounds good. The mandala looks really nice! I like the colors you chose for it. I used to be a big Ben & Jerry’s fan many years ago. And then they got rid of my all-time favorite ice cream ever. I’ll occasionally buy some still, but not very often. Wavy Gravy hasn’t been on the shelves in 14 years, but I can still remember it. *laughs* Caramel, cashews, chocolate fudge and roasted almonds in brazil nut ice cream. Oh that flavours sounds delicious! Yum! Now you make me sad they don’t seel that flavour anymore and I never got the chance to try it :(. This cinnamon bun flavour is really good, I also like the chunky monkey and cookie dough flavours, beside that I have tried a few I liked less. Thanks! I had a lot of fun colouring that mandala, I hope to start another one soon! Flipped for Murder looks good and your Mandala is gorgeous! I rarely buy Ben &Jerry’s ice cream as it’s so expensive. Thanks! I am happy with how the mandala colouring turned out. And same here I rarely buy Ben&Jerry’s ice cream as it’s so expensive. I’m not going to netgalley to look for that cozy, I’m not going to netgalley, I’m not…oh who am I kidding I probably will…lol. 🙂 Hope you enjoy the book you got! lol, I am really looking forward to read this cozy, it sounds so good! It’s good to hear this week was better and you will always have ups/downs with your recent loss. I hope the good memories and staying busy will help you through the bad days. I love your coloring! I just got my first coloring book. What do you use to color with? I love how bright the colors look. 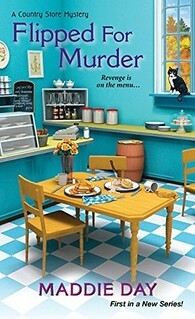 Flipped for Murder sounds really good but I’m staying away from Netgalley. I just have too many ARCs to review. But this one sounds really good so maybe I’ll buy this after I read your review. Staying busy really helps a lot, although it’s often the normal thigns like cooking dinner or wlaking into the livign room that reminds me of them. 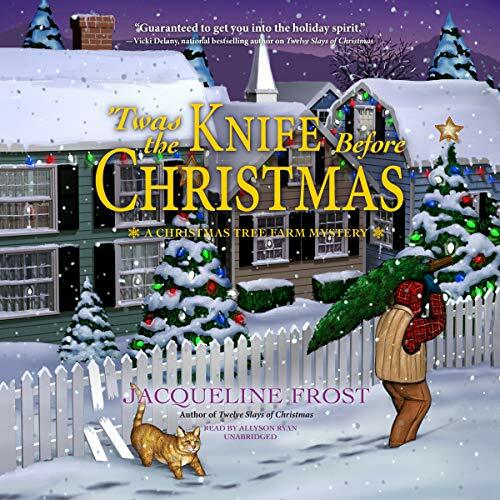 I am hoping to try out some cozy mysteries this year and I had this one on my to-read list already, so I coudn’t resist requesting it when I saw it on netgalley. I also have way too many books to review, but I am always adding more. I can understand missing your rats. It’s hard to go from having them to not having them around. I love ice cream but I’m strange while I can eat just about every flavor except for butter peacan..eww. My favorite is plain chocolate with hot fudge on it. It’s hard to adapt to life without them, it seems like I am only now realizing how much of my day involved the rats. When I am cooking dinner I want to give them some corn or when I walk into the living room I have the urge to chekc up on them. It’s still so hard to not have them around anymore. I miss them so much. I am so sorry to hear your Scribbles isn’t doing well either, it’s so sad they don’t life as long, they are such great pets. I’ve never eaten buttered pecan, they don’t seel that flavour over here, although I’ve read some books where they mention the flavour. I love chocolate, but I am not a fan of chocolate ice cream, but I do like ice cream with chocolate pieces. Adult coloring books are everywhere and I love seeing what people make! Yours is very pretty! Have a great week, Lola! I hope you get some chill time in between work/blog stuff. Thanks! I love adult colouring books even though I don’t make enough time for it, I just want to buy more of them! Stunning job on the mandalay! Sadly I’m coeliac (celiac) so lots of ice creams are off limits for me but I used to love the stuff! Oh I am sorry you can’t eat ice cream :(. I love ice cream, I have these moods were I am really craving ice cream and then don’t eat it for months. The birthday sounds great. I’m actually thinking of going to make a corn dog right now! (veggie one of course lol) Glad to hear business is going well this week, Lola! I didn’t like these veggie saucages as much, but I do like the corndog concept. Might have to make them myself wiht different veggie saucages once. Veggie saucages really are a hit or not for me. Keep taking things day by day, Lola. It’ll get easier not having your rats around. I’m glad you had a good time for your boyfriend’s birthday. Sounds like you spoiled him with sweet treats. 😉 I hope you continue to stay busy and that your week is going well so far. 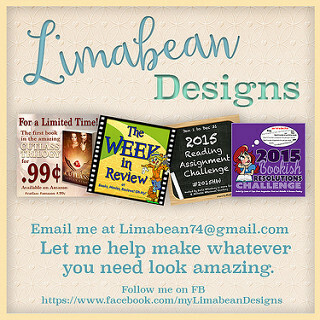 This week is going well so far, got some more marketing assistant work this week that’s keeping me busy. It get’s easier not to have the rats around, but some moments it really hits me. Glad to see you enjoying the colouring, it is so much fun. 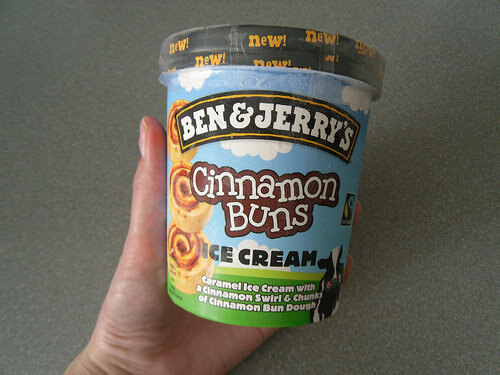 I love Ben and Jerry’s especially Phish Food but I did not know there was a cinnamon bun one, that sounds delish. Sending hugs too, I know how it feels to be without a pet, it does get easier but yes you do get some moments where you will find yourself sad. I agree colouring is so much fun! I really should make more time for colouring. I think I have tried Fhish food once as well. The Cinnamon bun flavour is really good, yum! It get’s easier indeed, but there are still moments of sadness as well. All of those desserts sound REALLY good right about now. I’m craving sweets like mad! I love the way your mandala turned out! I haven’t been coloring in a while. Maybe I should take a break and sit down with one soon. Same here, I really should make more time to bake something soon as I really could use some cookies right now. I don’t make a lot of time to colour, but I would like to colour more often. It’s a lot of fun and I am so happy with how my first mandala colouring turned out. I have coloring books, just never seem to find time to color. I like Ben and Jerry’s, just don’t ever remember what my favorite is. I like to try the new ones. Hope you have a great week! 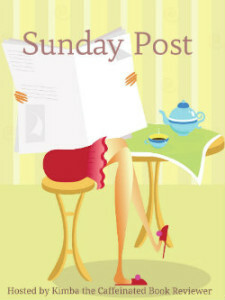 My Sunday post is in the link below. Same here, it took me quite some tiem to even finish this one. I really should make more time for it. I like to try new flavours as well, but as they are so expensive I often just go with one that I know I will like. Your coloured picture is gorgeous! I think I might get a few of these colouring books for relaxing therapy when I’m too tired to read. Enjoy your colouring this week! Thanks! I like colouring for when I don’t feel like reading or when I prefer to do something else. 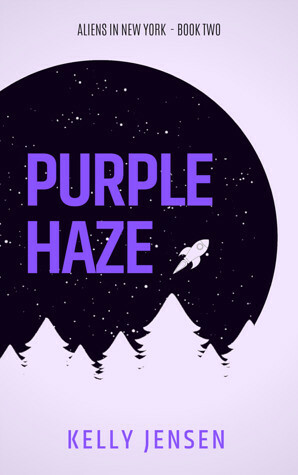 It’s pretty relaxing and addicting at the same time. 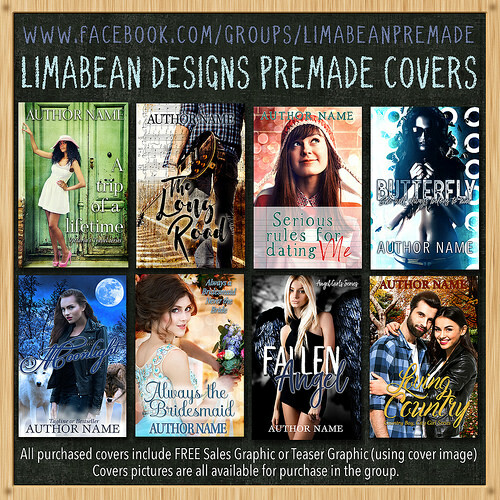 Lola recently posted…Lola’s Ramblings: What Makes for a good Cover?